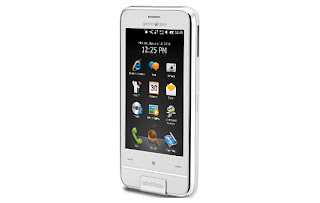 With Windows Phone 7 due year end, the current crop of Windows Mobile 6.5 phones just seem so ho-hum. The Garmin Asus M10 nearly got the same treatment -- it features a 3.5-in WVGA display, 512 RAM and 512 ROM, 4GB of flash memory, a 5 megapixel camera, a 1500mAh battery and the usual connectivity options. Bog-standard stuff, really. Where M10 excels is the secret to many a restaurateur's success --- location, location, and, simply location! The strong association with Garmin has meant that this phone is built with location at its core, with navigation functions linked to commonly used applications such as contacts, email and the browser. Map Data is powered by Navteq, and the M10 is ready to use with pre-installed map data and turn-by-turn voice guided navigation for 62 of the century's largest cities. As with a location-focused device, you get advanced navigation features, commonly found on stand-alone GPS devices, such as lane assist which tells you which lane to switch to for a turn etc. There's also a highway mode which lets you plan ahead so you don't miss that critical turn-off. Other than this, the M10 is a dream to use in the car, as the sales kit includes everything you would need to use the device in a car, including a powered cradle and windshield mount. I only wish that the screen was more finger friendly -- a capacitive display would have helped -- and one wouldn't have to pull out the stylus every now and then to use the device. 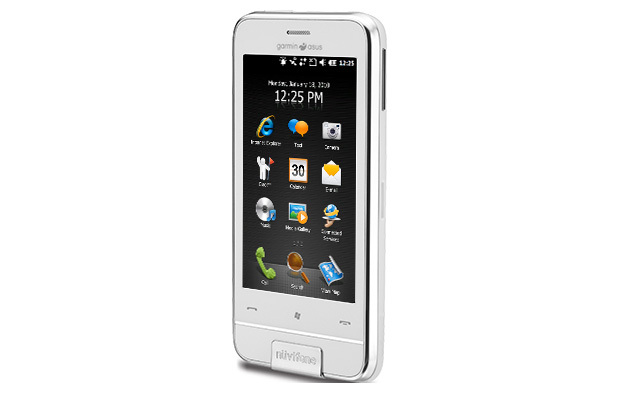 That said, if you're looking for a location-oriented phone and don't have to wait for Windows Phone 7, this could be the device for you.